Never mind the Easter bunny, if you are looking for Easter basketball action, the NBA is where you want to be. 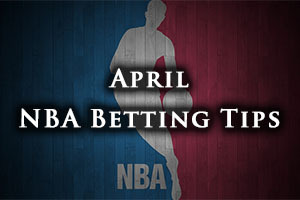 There were three big games on Thursdya night but this weekend sees a number of excellent games taking place in the NBA. It may be the March Madness Final Four giving the NCAA time to shine but the NBA still remains the number one game in town. The Cavaliers took on the Heat, who they could face in the playoffs and dealt with them convincingly. It was a 114-88 win for the Cavs in Cleveland and the Heat are still toiling. The Warriors won a very close run game, defeating the Suns by a score of 107-106. The Mavericks slipped up at home with the Rockets coming to Dallas and grabbing a great win. The team from Houston notched up a 101-108 win. The Nets are on their best winning streak of the season and what will surprise a lot of their fans is the fact that the seems to enjoy playing at home now. A lot of the home games have been tough for the Nets this season but of late, there has been an air of optimism in Brooklyn. Mind you, they are coming up against a Raptors team that has been playing well and winning of late as they start to flex their muscles in time for the playoffs. When it comes to getting ahead, being prepared is crucial and the Raptors will not take this game lightly, even if Kyle Lowry is expected to be absent for this match. The Nets have edged into a playoff spot in the Eastern Conference but they know they’ll have to battle to maintain it. They should have been a lot more comfortable against the Knicks in midweek, blowing a healthy lead but a very late shot, just two seconds left, from Book Lopez sealed the win against the Knicks. The Raptors hold a 45-30 record so far this season which includes a 19-17 record on the road. They have a 6-4 record in their last 10 games. The Nets have a 35-40 record so far this season, which includes a 19-17 record in Brooklyn. The Nets are enjoying an 8-2 record in their last 10 games. With respect to average points for, the Raptors lead by 104.2 to 97.7 and for average points against, the Nets lead 100.6 to 101.1. Taking the Nets at -3, with odds of 1.90, is a good bet for Good Friday. Bet Now! The Hornets and Pacers still hold ambitions of making the playoffs but both teams know that it is going to be tough. This is why winning this game is crucial and a loss for this one may be the final psychological blow that rules a team out of the running. The Hornets are currently sitting 10th in the Eastern Conference and the Pacers are in 11th, so they will have to make their way past a number of teams to achieve their playoff dreams this campaign. The Hornets hold a 32-42 record this season which includes a 14-22 record on the road. In their last 10 games, the Hornets hold a 3-7 record, which goes some way to explaining their slump in the rankings. The Pacers hold a 32-43 record so far this season with a 19-18 record at home. Their 10 game record is even worse, sitting with a 2-8 record. For average points scored, the Pacers lead 96.9 to 95.2 and for average points against, the Hornets have a narrow lead, 97.1 to 97.5. Taking the Hornets with a +5.5 handicap, at odds of 1.90, should be a good bet for this week. Bet Now! Evan Turner has bene in excellent form in recent games, notching up three triple-doubles in his last 21 games. He has bene instrumental in the Celtics fine run of firm and Turner will be hoping to take the Boston side to a third win in a row. They will also be keen to provide the Bucks with a 12th away day loss in a row. This has been an abysmal run of form for Milwaukee and Michael Carter-Williams is yet to experience a win away from home in Bucks colours yet. The Bucks hold a 37-38 record so far this season and this includes a 15-23 record on the road. In the last 10 games, the Bucks have a 3-7 record. The Celtics have a 34-41 record at the moment, and this includes a 19-19 record in Boston. In the last ten games, the Celtics have a 5-5 record. For average points scored, the Boston side leads 100.9 to 97.6 and for average points against, the Milwaukee team has the edge 97.6 to 101.5. Taking the Boston Celtics at -5.5, at odds of 1.90, will hopefully give you a decent return in this game. Bet Now!